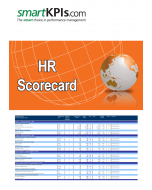 KPIs for HR Dashboard contains the complete collection of KPIs that pre-populate the HR Performance Dashboard, in complete smartKPIs.com documentation form, ensuring a proper and facile use of this core performance management tool. 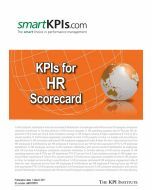 Comprehensive insights on Key Performance Indicators (KPIs) as performance measurement tools and a glossary explaining the most popular terms characterizing KPIs. 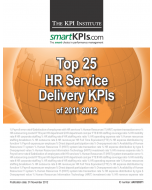 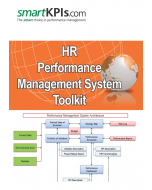 Buy now and benefit from this extensive collection of HR KPIs! 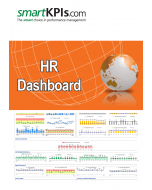 Pre-selected KPIs for populating the HR Dashboard.